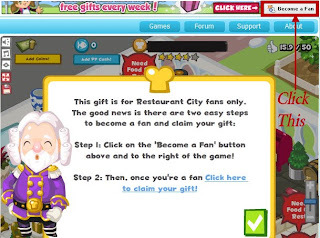 Click to play Restaurant City. 2. You will see this screen if you are eligible. 3. 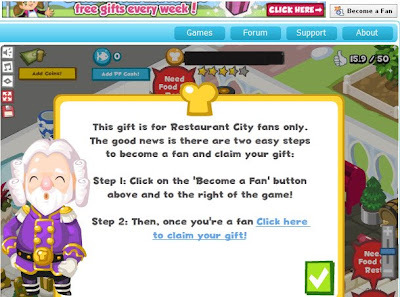 You will then have to "Be a Fan" by clicking the button as indicated in the screenshot. 4. Then access http://bit.ly/6gnyu8 again. 5. You will get your free recipe!